The bellawood ® brand is one of the most common brands in hardwood flooring. For many years it produces high quality flooring in a huge variety of different wood types. Bellawood ® flooring is available in up to 20 different species of wood, meeting the growing demand for various different materials. With its headquarter in Colonial Heights, Virginia and a manufacturing plant in Lynchburg, Virginia the company produces its bellawood ® floors for its over 30 different distribution center around the U.S.A. Being one of the most common known brands in flooring, Bellawood keeps selling its floors directly to the public through its own dealership. This keeps pricing at a very competitive low rate. With a very large ware house at its headquarters and around the different showroom, Bellawood is able to deliver its floors not only around the U.S., but also across the world. The company offers a 50 year warranty on its prefinished products. This very extensive warranty guarantees that the prefinished floor will not wear out during fifty years, if used under residential use. A very long warranty for a very high class hardwood floor. 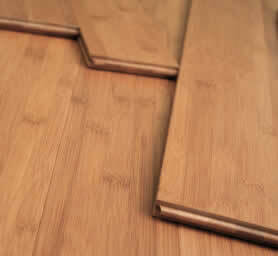 Additional information about Bellawood flooring ® is also available through the lumberliquidators homepage.